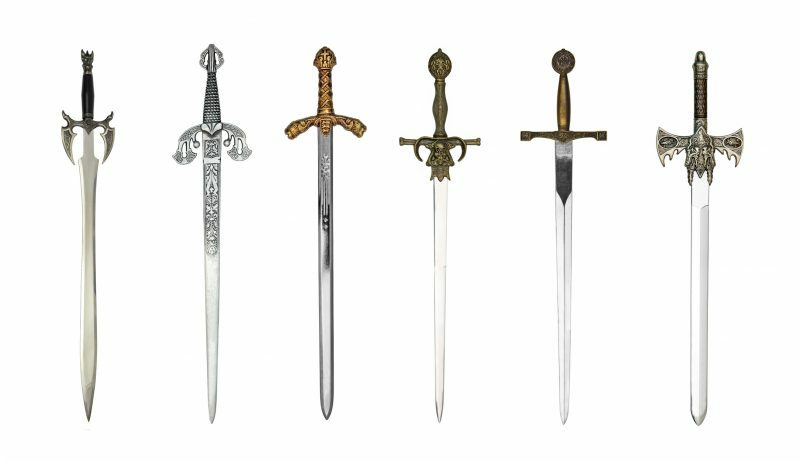 When we look back through history, we see many weapons that seem very impressive to us today, such as many of the melee weapons of Medieval Times. Some of these are gaining popularity in the survival community as possible weapons for use during a post-apocalyptic time when ammunition might be scarce. What many people don’t realize is that what we refer to as weapons from this time period were actually tools pressed into service as weapons. In this, Europe and the Far East emulated each other without even knowing it. Many of what are known as martial arts weapons today were originally invented as tools. The sai, for example, was used as a cattle prod and also for planting. Tonfas were originally used for masonry work: for leveling mortar and tapping cut stone into place. Even nunchucks were tools and were used for threshing grain. 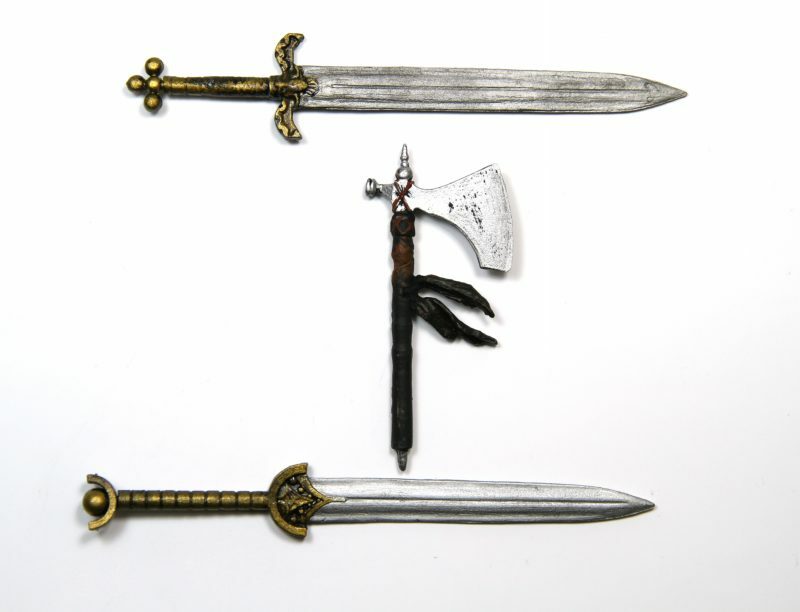 What turned these tools into weapons was the fact that common people were not allowed to have swords and other more obvious weapons. When those were taken away from the people, they found other ways to defend themselves. Tradesmen began to experiment with the tools they had and sought ways to use them for self-defense. Today, we understand these common tools to be martial arts weapons. Much the same thing happened in Europe, with the exception that the political situation wasn’t such that the landed gentry wanted to take weapons away from their serfs in order to control them. Instead, the cost of weapons was so high that most people couldn’t afford them. 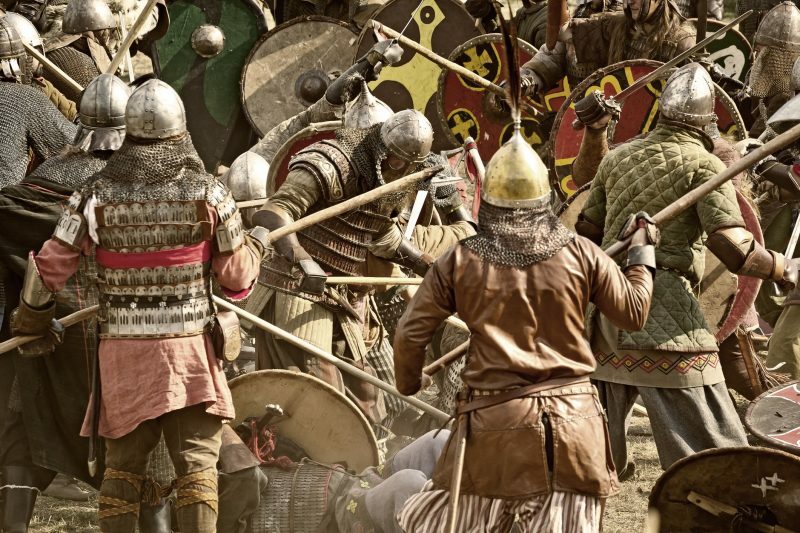 Unlike what we see in Hollywood movies, most kings didn’t have large standing armies, and lesser noblemen had even smaller groups of armed soldiers. The army was assembled by bringing together all those small groups of soldiers. When the need arose to defend a castle, people had to go with what they had. A knight who owned a castle might not have any other fighting men in arms other than himself, but he did have serfs who farmed his lands and who he taxed. They were the closest thing to an army that he had; all they needed was weapons. But weapons were expensive, and unless that knight had a blacksmith or armorer who worked for him alone and the funds to pay that armorer, it was doubtful that he had the capability to make enough arms to put swords and shields in the hands of all his serfs – let alone provide them with armor. So instead, most would fight with what they had. 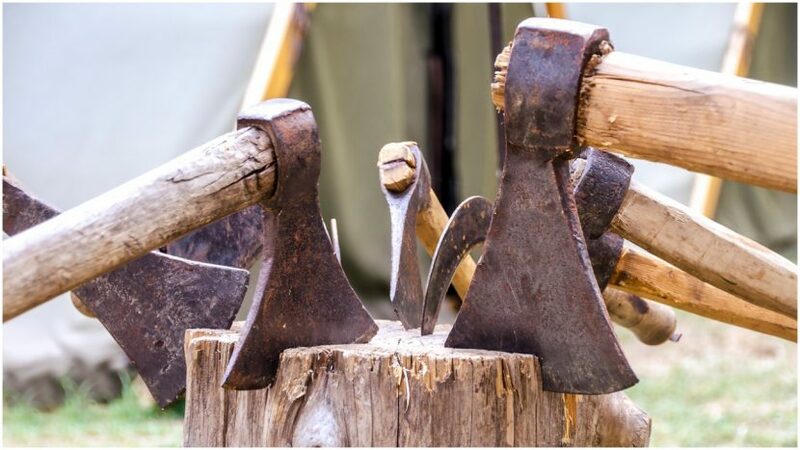 Both the war hammer and the battle ax were nothing more than tools repurposed for battle. I guarantee you, if you grabbed a sledgehammer or a pick-ax and went after someone with it, you could do a lot of damage. Weapons can always be broken down into different categories. For example, a “ranging weapon” refers to any sort of weapon that can send a projectile some distance to strike an enemy. 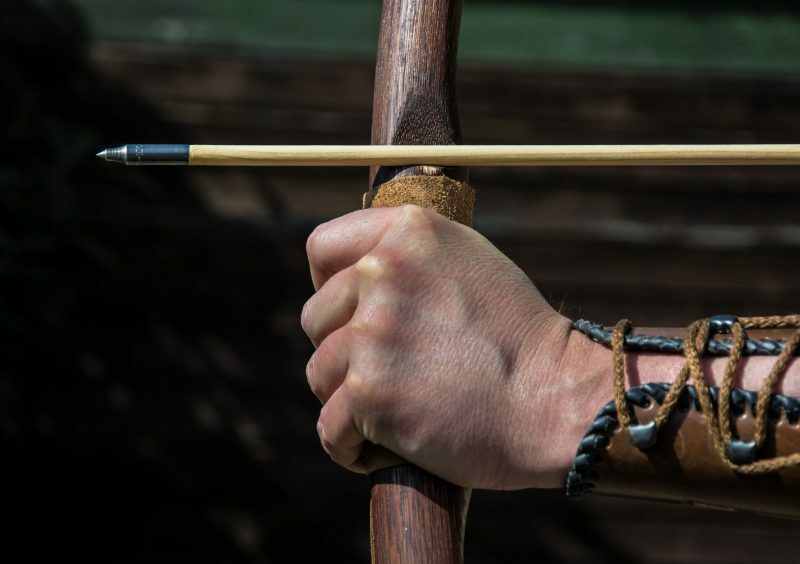 Throughout most of history, the bow and arrow was the primary ranging weapon, although various darts and spears were used that way as well. Today, we’ve mostly replaced these with firearms, which send a smaller projectile at a higher velocity and allow us to harm enemies at a longer distance. A “polearm” is another category of weapon. These are generally six to eight feet long and can include such things as longer spears, halberds, and quarterstaffs. The bo staff of martial arts and Hollywood fame falls into this category as well. Most of these were weapons used by palace guards rather than common people. Most people armed themselves with what are known as “melee” weapons. These are the axes, hammers, and other tools I was referring to before. Essentially, they are weapons that are used at short-range: an arm’s distance from the enemy. Swords are the most famous of all melee weapons, but I contend that an ax is probably the most effective. Other than the sword (and maybe even in place of the sword), my favorite melee weapon is the ax. This isn’t so much based on how it looks but rather how effective it is. I’m not talking about the stylized battle axes we see depicted in movies but something more like a broad ax, which was once a common tool. Granted, any kind of ax can be used as a weapon. 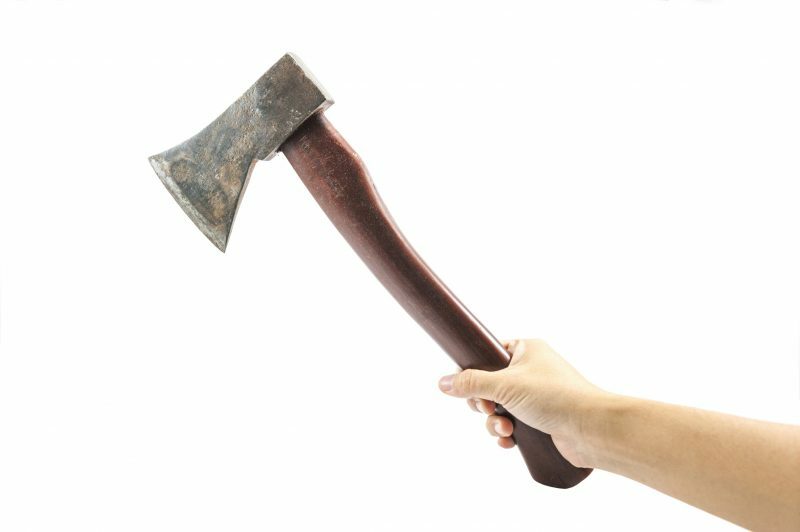 While the broad ax was probably the most common, it wasn’t used to fell trees but rather to shape them. People also used single and double-bitted axes, which are much like those that exist today but with a thinner head. As long as it had an edge, it was effective. Any kind of ax can be used as a weapon. But the edge isn’t the only thing an ax has going for it. It is also an effective blunt-trauma weapon. If you don’t get your swing just right so that the edge of the blade hits your opponent, that’s okay; chances are you’re going to crush a bone rather than cut them, but you’ll still hurt them. As a weapon, an ax is a Berserker weapon. What I mean by that is that you just go crazy and start swinging it. There’s really no finesse involved; you can’t “fence” with an ax. But it is this very characteristic that makes it so effective. It is very hard to stand against an ax, especially if it is wielded by someone who knows how to go crazy with it. I’ve seen mock battles between a sword and an ax. About the only good the sword did in such a situation was to give the owner of the sword something to hold onto while he ran. Unless the swordsman can get in the first blow, he doesn’t have a chance. One swing of the ax will brush the sword aside. There’s really no way of parrying the swing of an ax, especially a heavy one. By comparison, the sword is a much lighter weapon. Granted, the sword is a fearsome weapon when used against spears and other swords, but that doesn’t make it an effective weapon against axes. The sheer press of the attack that can be made with an ax makes it impossible to stage an effective defense. That’s why I like the ax. Should I ever be faced with a situation where I need a melee weapon, my choice would be the ax.